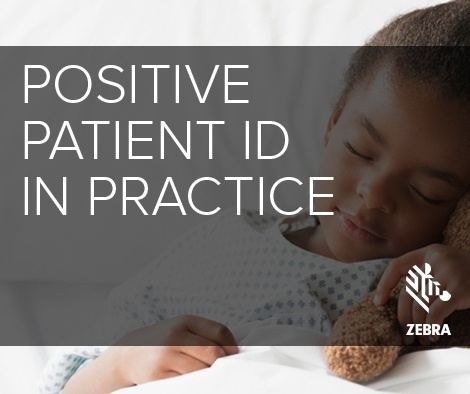 If you wanted to review a textbook case of positive patient ID (PPID) implementation, the Southwestern Vermont Medical Center (SVMC) in Bennington, Vermont would be an excellent example. This nationally recognized center instituted a system-wide initiative to enhance patient safety and reduce the possibility of human error, which included becoming an early adopter of barcode medication administration (BCMA). The goal of the new system was to reduce manual medication transcription and administration errors through the use of BCMA and electronic medication administration record (e-MAR) technologies. Initiatives of this scope involve multiple departments within a healthcare facility. Success depends on adoption, especially among the frontline clinicians who would actually be using the technology. Experience has proven that a solution must be simple to use. If it’s too complex or cumbersome, “workarounds” are inevitably developed by the frontline staff, negating the patient safety benefits. With a solid plan in place, the team started the project in the ICU and systematically expanded its use to other areas within the facility. You can read more about how SVMC achieved a successful implementation—and sustained an average of 95%+ medication scan rates and 99%+ patient ID scan rates over the past five years—in our new case study.